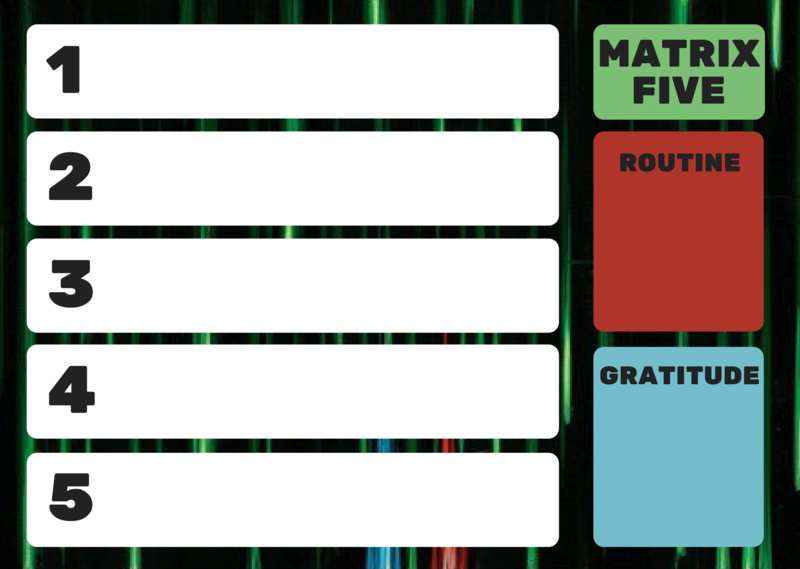 When you do the same daily tasks over and over, it’s nice to have a reusable printable to track your progress. Instead of printing your planner on paper, you create the reusable printable on photo paper and use a dry erase marker to add items and check them off. 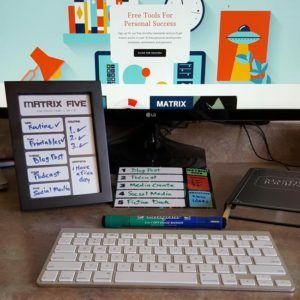 Since I follow a daily time management tracker as part of my Matrix Five Priority System, having one that is reusable saves me a lot of time and paper. Currently, I’m working through the 100 day Mastery Journal from EOFire, where I write down my daily plans the night before and then take action on each task the next day. 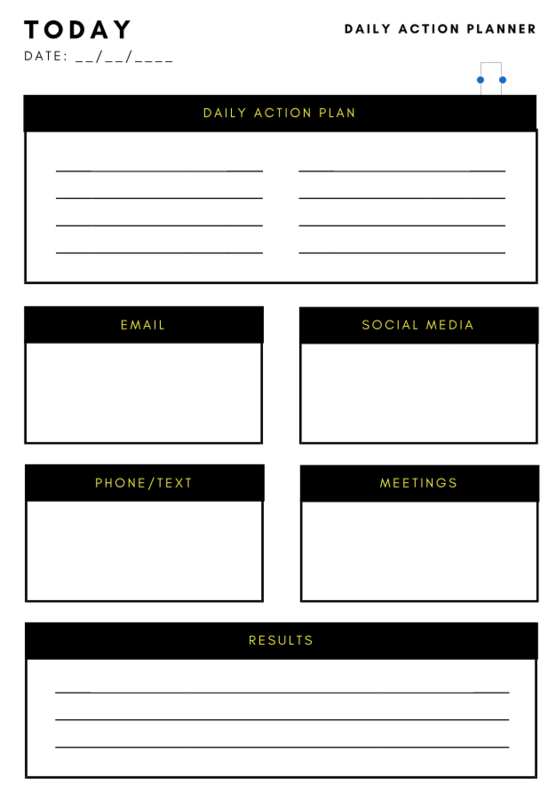 Creating 5 x 7 inch printables allows me to list my upcoming tasks on a colorful grid and keep them on my desk where I can see them at a glance. 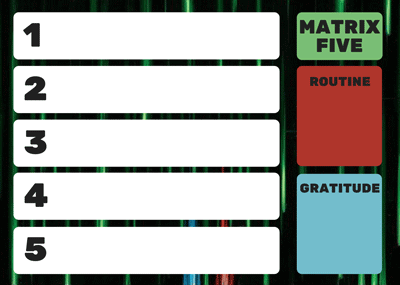 The Matrix Five printable works perfectly with the time boxes in the Mastery Journal. While the journal is nice, it doesn’t sit flat on the desk, so I have to open it each time I want to reference it. With my printables, I just prop them on my monitor stand or put them in a photo frame for reference. When I’m done for the day a damp rag erases the text and I’m ready for a new day. The first printable I created has a horizontal orientation, where I have enough room for a short sentence of description. I’ve found that just a couple of words for each task usually suffices. 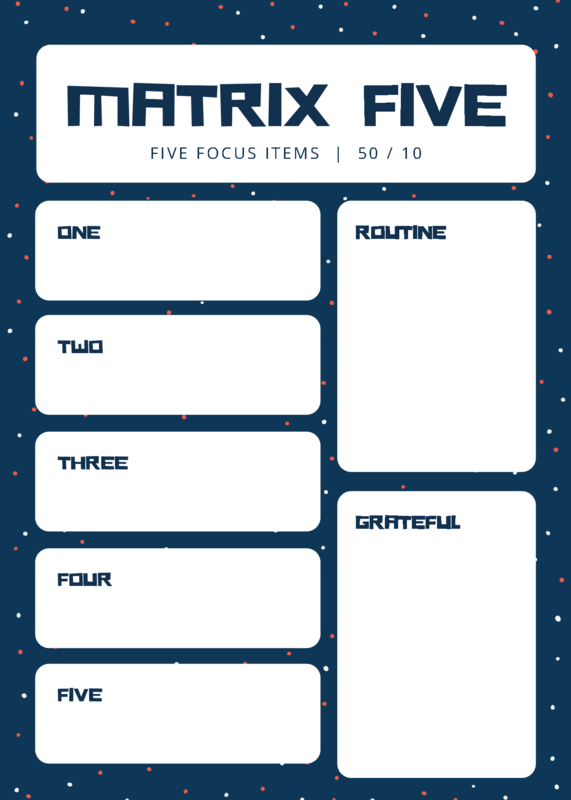 There are five wide task boxes, a box to list a daily/morning routine that you might have, and a small box to list one item you are grateful for. Creating one in vertical mode allows me to stand the printable on my desk and see it at all times. With the shorter boxes, one or two words will need to suffice. 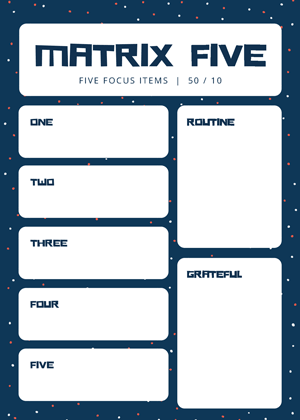 Similar to the horizontal printable, there are five task boxes, a box to list a daily/morning routine that you might have, and a small box to list one item you are grateful for. With a few printables created, you can use these in a variety of ways. The picture above shows how you might set these up on a given day. If you want to try out these printables, I’ve created them as 5 x 7 inch photos that you can have printed at your local or online photo store. I use Costco for all my photo needs, but photo retailers such as WalMart, and Walgreens offer quick service too. I just upload them online and select 5 x 7 as the print size and glossy as the paper preference. Within an hour or two they are ready to go. Once you have them printed, use a dry erase marker to fill them out. For longer sentences and more detail, use the fine tip markers. For one or two words, a standard marker will suffice. A glossy photo is pretty durable and can be used quite a few times. Once you are done for the day a damp rag will clean them up nicely. Here are the Hi-Rez photo png files. Just download them to your computer and upload them as a 5 x 7 glossy photo to your local photo retailer. The Daily Drivecast episode on the Erasable Daily Planner can be found here. If you like free downloadables like this, please be sure to sign up for our weekly newsletter to be notified when new files come out. 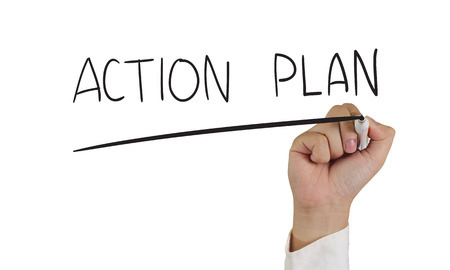 Leave a comment below on how you will use these printables for your action steps. I ran into an interesting life planning concept over the weekend, called The Four Burners Theory. Imagine it this way. Your life is represented by a stove with four burners on it. 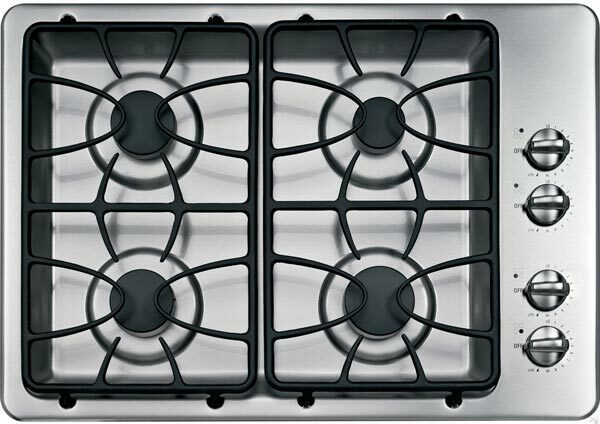 Each burner representing one major quadrant of your life. The ultimate work/life balance conundrum. I’ve seen this concept espoused by a number of writers lately, each with a slightly different take. 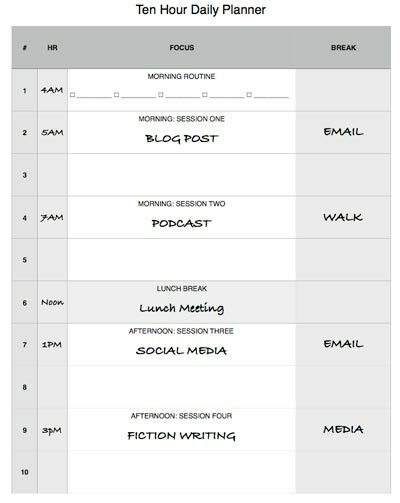 The ten hour daily planner is a free printable that allows you the flexibility to plan out your workday, from door to door, including commute time and meals. It’s designed for flexibility and allows you to track work time as well as breaks. In a previous post, I mentioned that most people that work a traditional eight hour day, usually commute to work and take a lunch break. This ends up close to a ten hour day, with all things considered. Because of this, you’ll want to have a place to record those times on your planner. With today’s post, I’ve included four versions of the ten-hour planner. I’ve gone for simplicity and function. It’s a 10 section to-do list with a place to record the time (hour) and a box to list items you want to focus on during that time period. 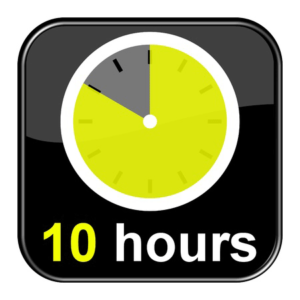 I’ve designed each hour with a break period if you time-box (example: 50 minutes focused time with a ten-minute break). I’ve included a couple of graphics showing how you might fill in the sheets. Here is how they look. Each of the planners below comes in PDF format and is printable on standard letter size paper. The first one is just a standard black and white 10-hour worksheet. No frills, but it does allow the flexibility to set the hours of the day. Just write down the item(s) you want to focus on and any elements such as email or social media that you want to check during a break. 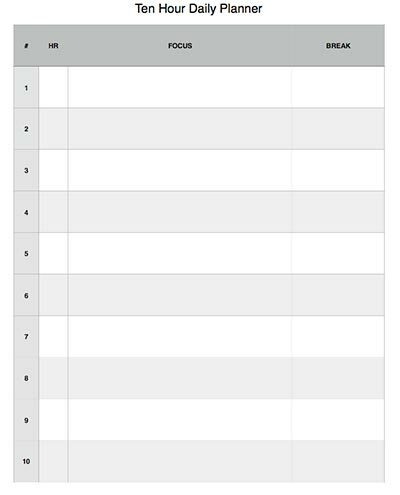 I’ve designed these sheets to work with a time block such as a 50/10, where you focus on one task for fifty minutes and then take a 10-minute break. This planner includes a spot at the beginning of the day to track your morning routine. There are five check boxes to list your items and check them off. This is a planner that I use when I’m working on longer two-hour sessions during the day. The picture below shows how I might fill it in. 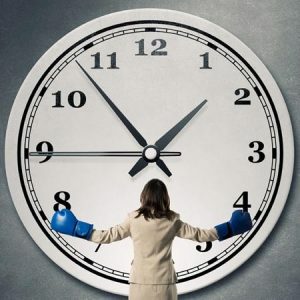 Since you fill in the hours, you can easily skip hours like I did during the day. This is setup with a morning routine and two work blocks in the morning, and lunch with two work blocks in the afternoon, for a total of five hours each. I use this planner when I’m working with the Mastery Journal from John Lee Dumas. I created a full-color version of the planner for those of you who like a more creative look. Here is how I might fill the planner out. Once you have filled in your planner for the day, you can quickly take a picture of it with your cell phone and save it to Evernote so you can view it anytime on the go. Here is the Daily Drivecast explaining how to use the Ten Hour Daily Planner. I hope you find these planning sheets helpful. If you work from home like I do, they can help you track items and see where you spend most of your time. I like to write down focus items for each hour and turn off distractions. Helps to get things done! 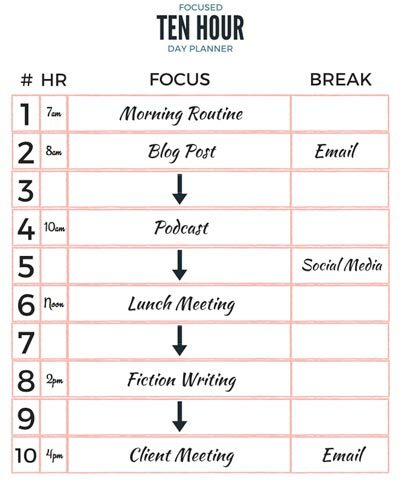 Question: How will you use the ten hour, daily planner?